DAY 1: Cambodia's famous UNESCO World Heritage Site, Angkor Wat, is breathtaking. 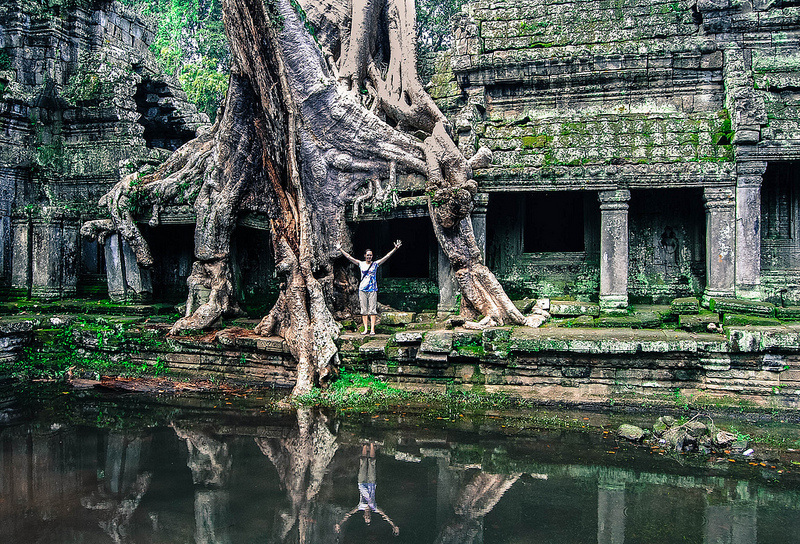 You won't soon forget wandering and exploring the sprawling, carved ruins of a once-great civilization. Angkor Wat is the primary reason that more than 50% of international tourists visit Cambodia. 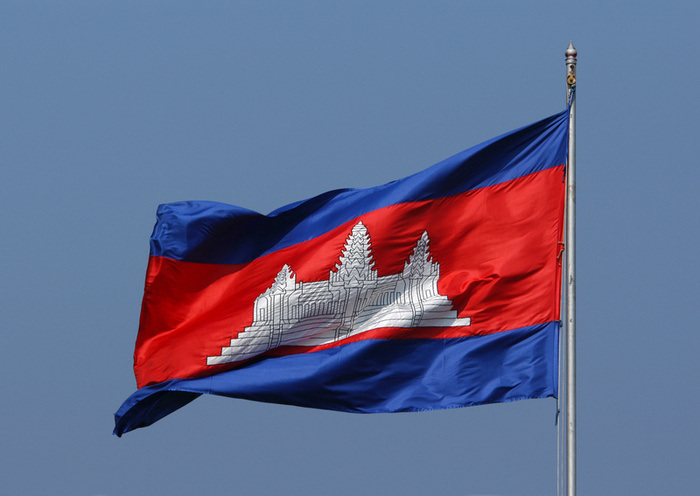 Cambodians are proud of their ancient monument and put it on the Cambodian flag in 1850. 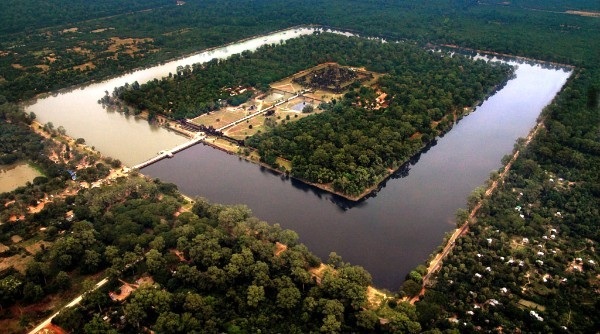 Constructed in the early 12th century (between 1113 and 1150) Angkor Wat is the largest religious monument in the world. DAY 2: Angkor Wat was originally a Hindu religious building, but around the late 13th century became a Buddhist temple. The temple is still used by Buddhists today. 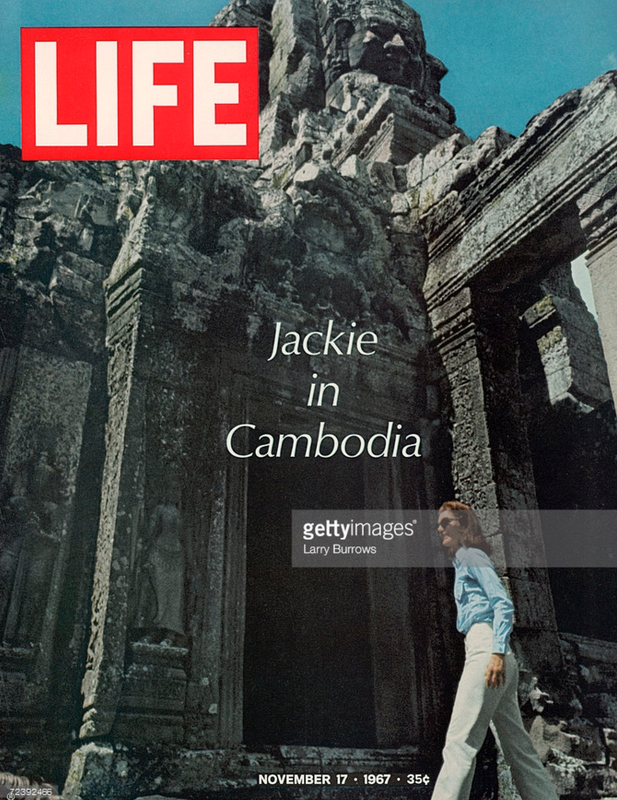 First Lady, Jacqueline Kennedy, risked a visit to Angkor Wat during the Vietnam War to fulfill a "lifelong dream" of seeing the monument. 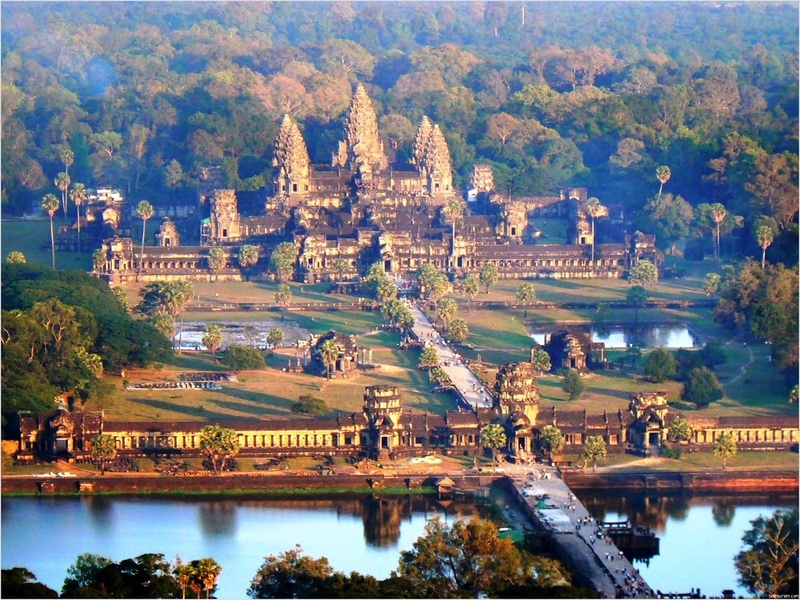 The words "Angkor Wat" translates to 'City of Temples' or simply 'City Temple'. 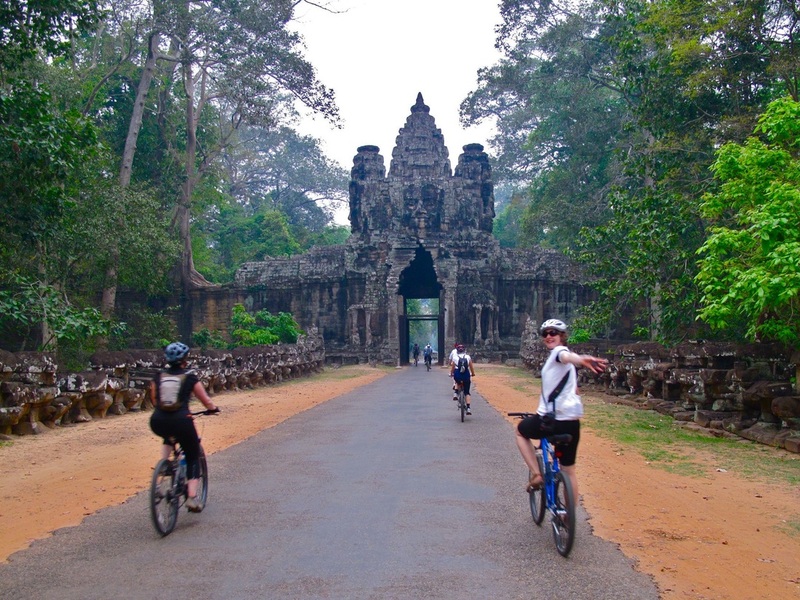 The Angkor ruins stretch over more than 248 square miles. DAY 3: Angkor Wat was made a UNESCO World Heritage Site in 1992. The site suffered from decades of unregulated tourism and looting; many ancient statues have been decapitated and their stone heads sold to private collectors . 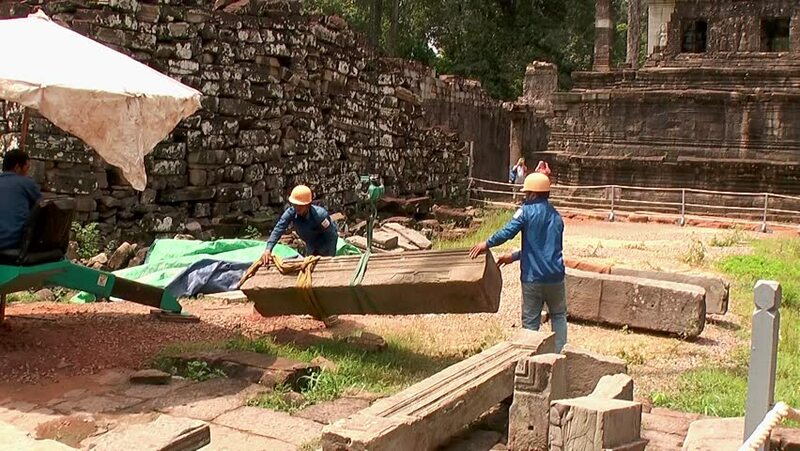 An international effort has helped to slowly restore Angkor Wat. 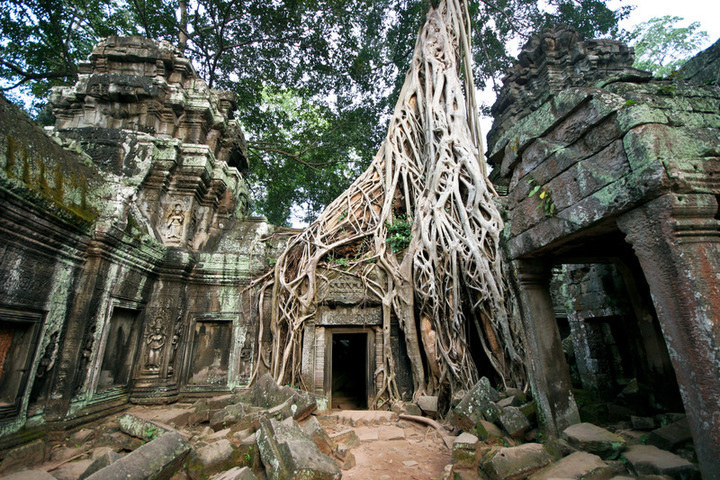 The Angkor temple --which is seen in most photographs -- is famous for the large vines that seem to strangle the ruins. 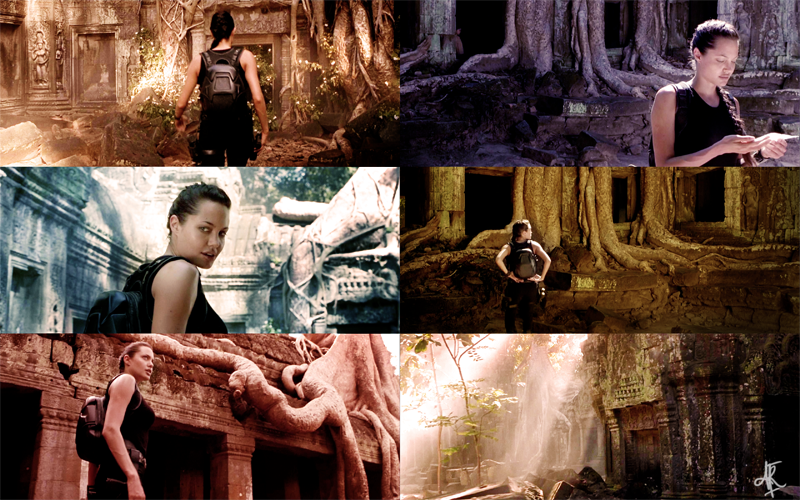 It was used as the set for the hit movie Tomb Raider. Paramount was charged US $10,000 per day for seven days to film there. DAY 4: The construction of Angkor Wat was not an easy task as it involved lots and lots of quarrying, detailed artistic work and digging. The moat, which measures 623 feet in width, needed around 1.5 million cubic meters of sand and silt to be moved. This task alone would have involved thousands of people working at one time. A tough material called laterite was used to support the buildings. That material was later encased with softer sandstone which was used to carve the reliefs. 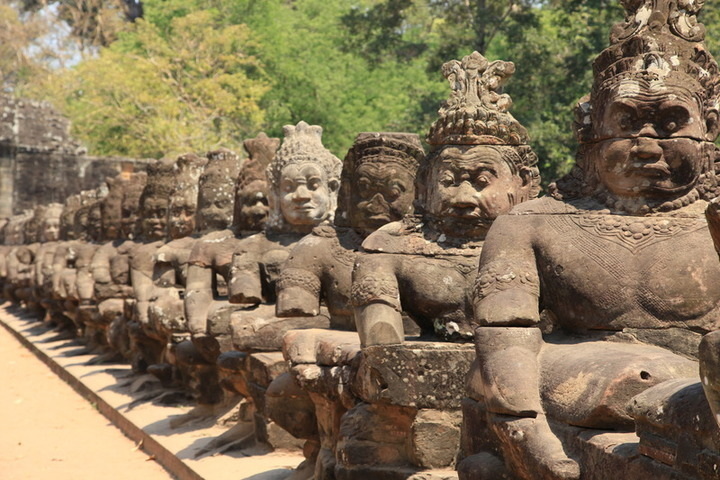 It is also said that the sandstone blocks were quarried from the Kulen Hills, which are located 18 miles to the north. Research shows that the stones were transported by a series of canals. 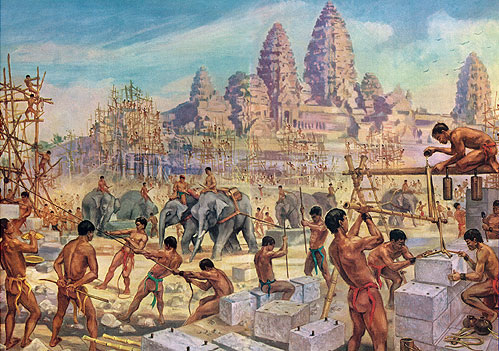 Angkor Wat was a very important part of the world and many battles were fought over control of Angkor Wat. 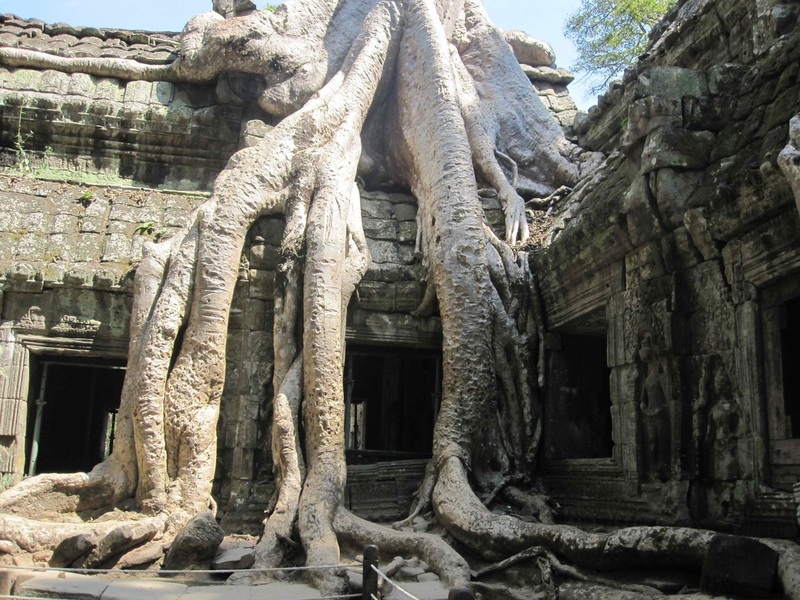 DAY 5: INTERESTING FACTS ABOUT ANGKOR WAT! 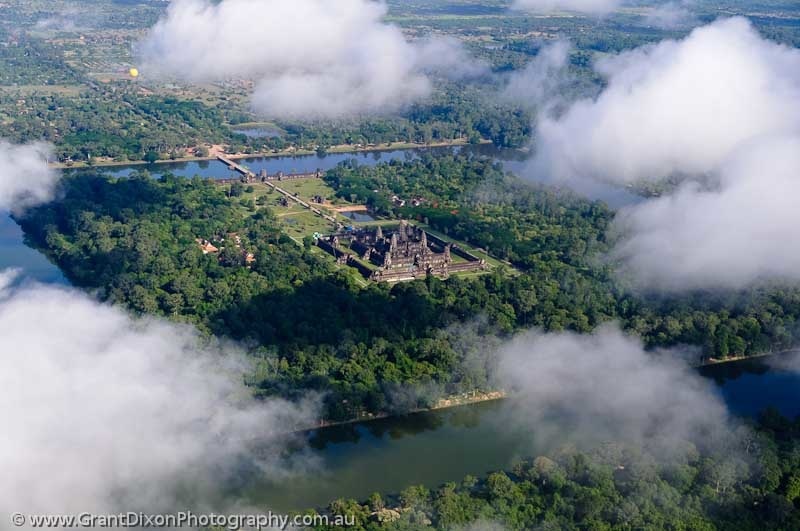 Angkor Wat is such an important landmark in Cambodia that it even adorns Cambodia's flag! 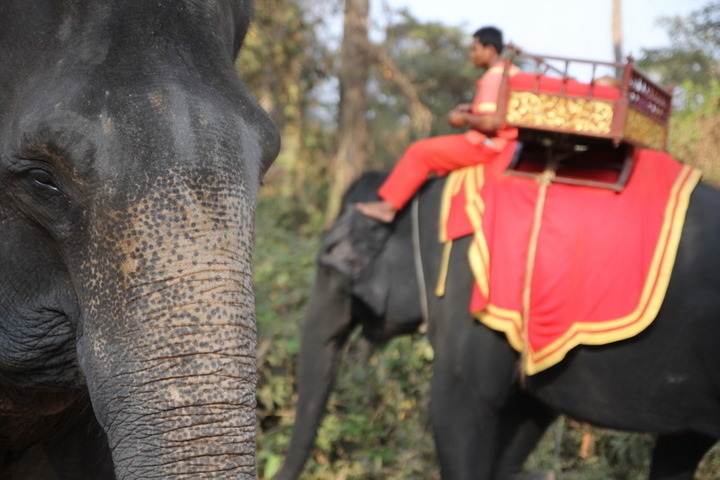 It is estimated that over 6000 elephants were used when Angkor Wat was originally built. 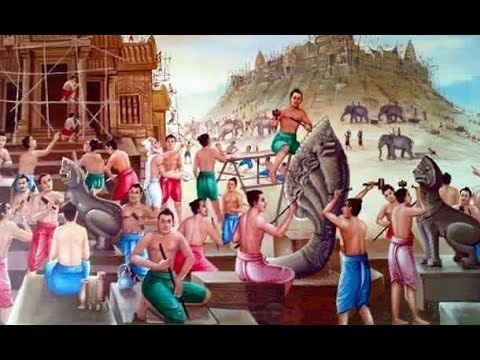 The reported population of Angkor City at its peak was one million people, by far the largest city in the world prior to the industrial revolution. 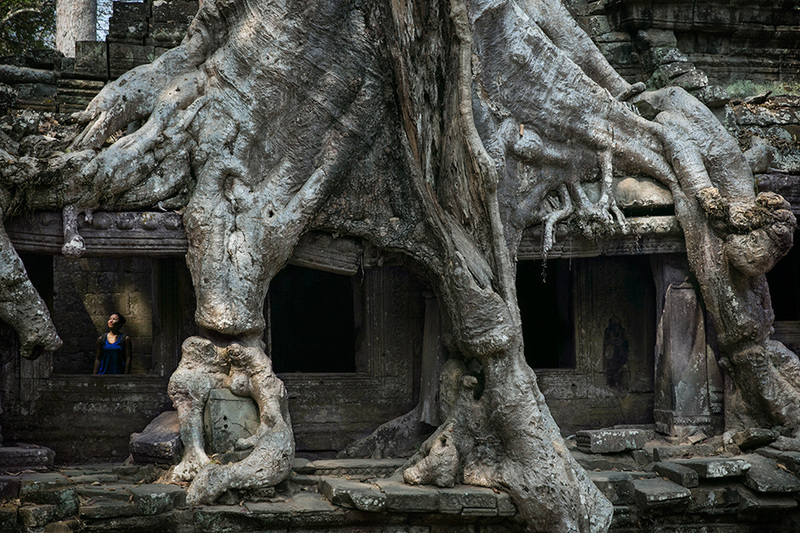 Perhaps the most amazing fact of all is that Angkor Wat was built without any machines at all! For $20, you can get a one day pass that allows you to explore the ruins inside and out --either on foot, on bike, or a little bit of both!